You have heard about it on many wildlife documentaries. 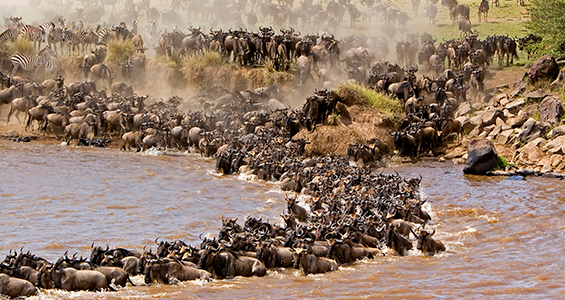 So why not be apart of The Wildebeest Migration. 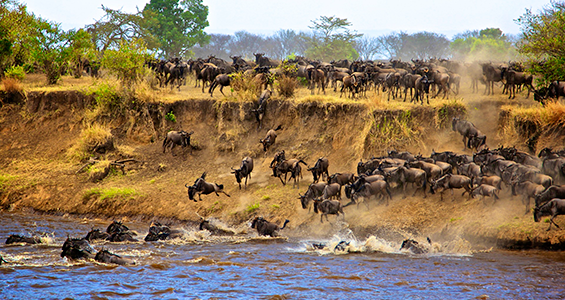 If you arrive in the Masai Mara (The Kenyan side of the Serengeti) you can expect the wildebeest to make their arrival as early July, but they generally arrive between August and September and remain in the Masai Mara in October before heading south to the Serengeti plains. 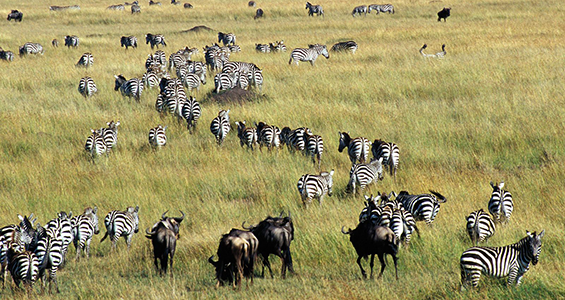 There is no real beginning and end to a wildebeest’s journey. Its life is an endless pilgrimage, a constant search for food and water. The only beginning is the moment of birth. There is much to see and experience in east Africa with each month having its special events. 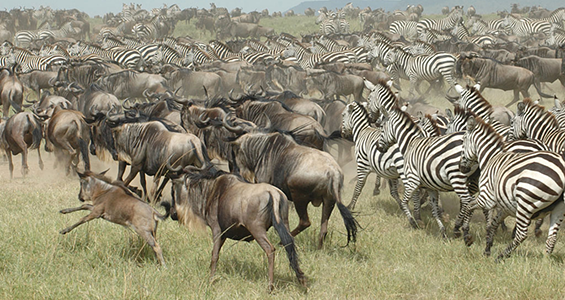 Whilst the Great Migration is indeed spectacular it is by no means all there is to see and experience here. 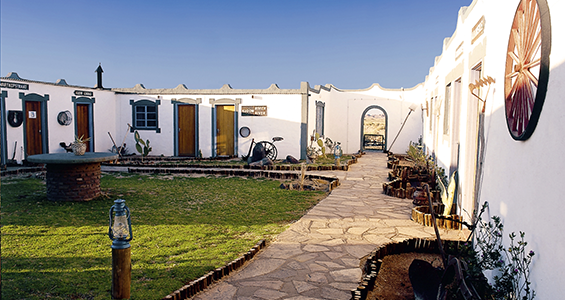 So Karibu (means “Welcome” in Swahili) to East Africa and enjoy everything it has to offer!